Housing and Infrastructure Development Minister Ronald Chitotela has announced that K7 Million has been set aside for a feasibility study in Zambezi district to ascertain how the bridge will be Constructed across the Zambezi River to connect the West and East Bank. Mr. Chitotela says he is sure that by August this year government through the Road Development Agency will go to tender so that a contractor is picked to construct the bridge. 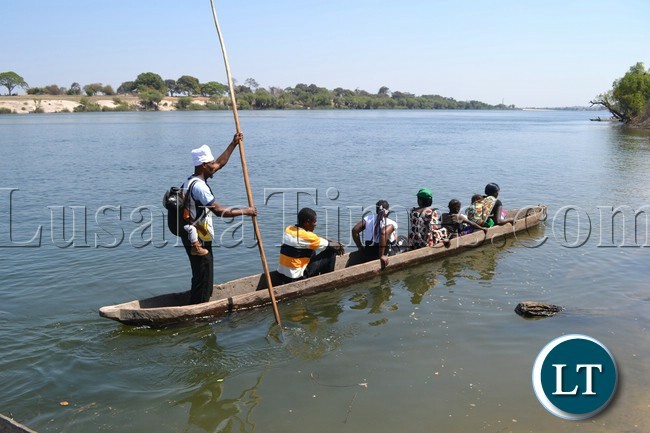 The Minister says President Edgar Lungu is concerned with the challenges the people of Zambezi go through when crossing the Zambezi River. Mr. Chitotela was speaking when he and his Gender counterpart Elizabeth Phiri paid a curtsey call on Senior Chief Ndungu of the Luvale speaking people of Zambezi district. Mr. Chitotela expressed happiness with the warm reception the people of Zambezi gave him. And Ms. Phiri said she is in the district to assess how women empowerment programmes are being implemented. And Senior Chief Ndungu says he will remain a strong supporter of government and its policies and has urged other traditional leaders to always support the government of the day because that is the will of God. The Traditional Leader says he will not stop supporting the government of the day although some sections of society will politicise the action. Senior Chief Ndungu has since called for quick implementation of the Zambezi Township roads project. Is 7 million for a feasibility study only? Poor statement: That should be for Feasibility Study, detailed design and tender document prpeparation. That is why people have a field day with this government due to inadequate understanding of what is required to be achieved on projects. How do you spend 7m on feasibility study only! Also poor reporting. journalists should give precise information and quickly. A reader does not have to dig deeper into the story to get details. The Zambezi is thousands of kilometers long so If government is to build a bridge across it you should tell us preferably in your headline where this bridge will be. 7 billion kwacha old currency for those still trying to understand. That amount for a feasibility study. Ba pompwe your day of reckoning is neigh. It does not matter whether they vote for PF or not, The fact is that the place is Zambia our soil. We shall still develop it to the full. shortly, we shall be trading heavily through Angola. @ Anyoko, are you serious with your statement? This is Zambian soil like Ken has said. One day your descendants or perhaps you will want to do trade through there and what happens if you find you cant cross over? And you think k7m for a fesibility sturdy of a bridge across the might Zambezi is too much? Dont expose your ignorance in public if you dont understand what it takes…!! !